Home » Manatee Snooty is 63! Snooty is not your typical manatee and he relates to people very differently than manatees in the wild do… really? Just go watch him get “hand fed” daily apples, romaine lettuce and strawberries! He never has to hunt for his food all he has to do is just look cute! Snooty’s diet consists of 70 pounds of lettuce, cabbage, broccoli and Kale per day! Over 3000 children and adults celebrated with Snooty enjoying cookies, sodas, face painting, children’s games,activities and even a birthday card contest. 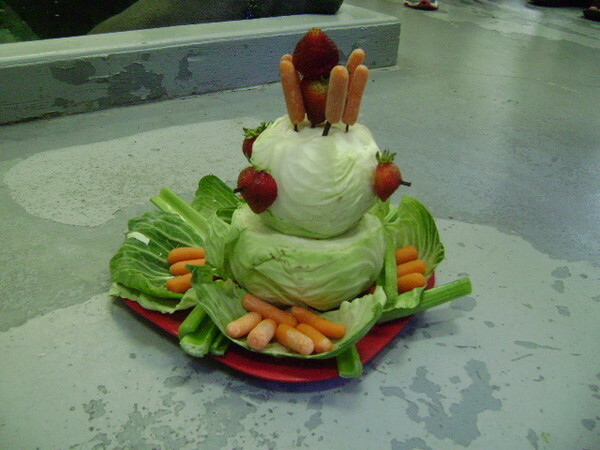 Snooty’s birthday cake was an elaborate stack of cabbage, carrots and strawberries drizzled with pineapple juice. Snooty is so important to the community that he is the official mascot of Manatee County! There is even a Save the Mantee Club which offers free public awareness materials and tips for Boaters, swimmers and divers. Public awareness signage combined with responsible boating and better reporting of injured manatees can make a significant difference in the lives of manatees. The manatee population suffers from frequent daily watercraft strikes and only a handful of strikes are reported and documented. You can obtain a free bright yellow waterproof banner to help boaters alert other boaters when manatees are present in the area. This place is COOL! Check out the webcam during the winter months and see the manatees gathered at the warm water effluent of the power plant. 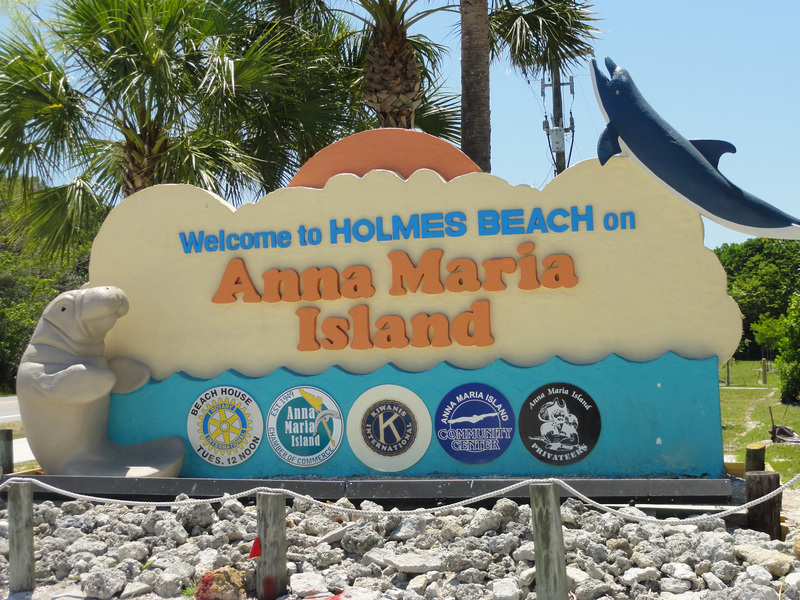 Snooty the manatee welcomes you to Holmes Beach on Anna Maria Island!